Her father is Ch. Castle Yard's Vincent, owned by the 'de Leeuw sisters' in Belgium. 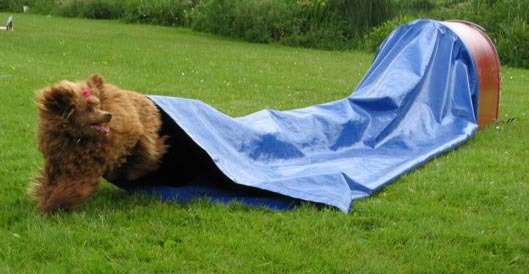 Dolly is coowned by Kitty Bergman and she is the one who does agility training with little Dolly. 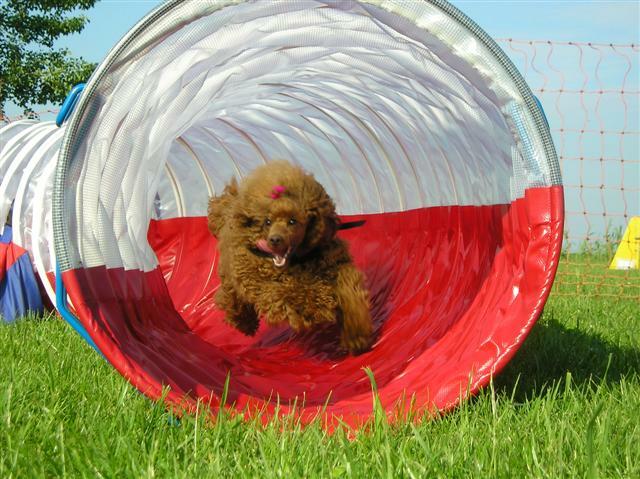 Dolly loves agility and she has the best trainer ever. We predict a great future for this little red devil. 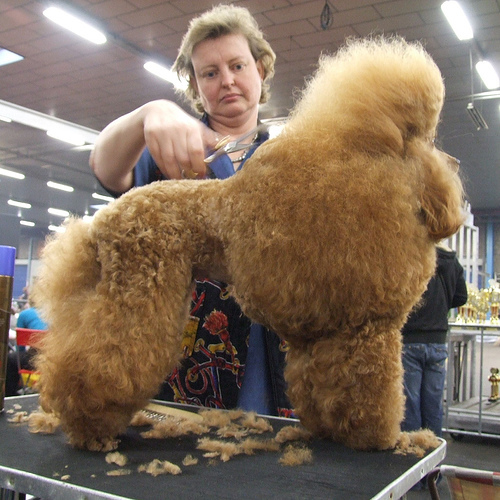 For her very first show , Kitty handled her to a group win. This was almost a year ago. By now Dolly has all her points towards the Dutch title and she is a Dutch Junior Champion. She is not old enough to be a Dutch champion yet. Kitty also showed her in obedience and she has her G&G -B title. She is handled in agility competition now by Henk, who has longer legs as Kitty has, so he can better keep up with Dolly. As soon as Dolly stopped looking for Kitty at shows and concentrated more on Henk she q-ed. (third show!) and also was the fastest dog in the competition and she won a first prize. 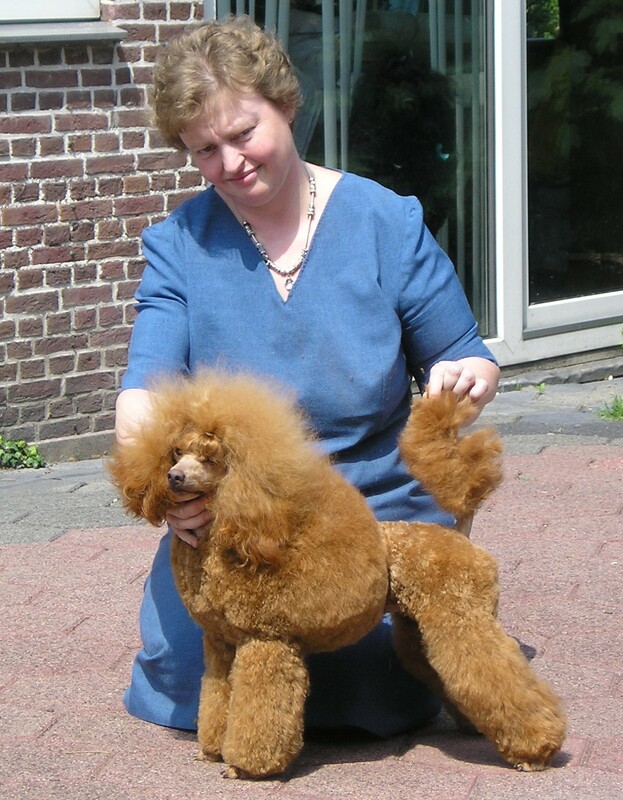 This is Dolly at the Dutch Poodle club's national specialty. 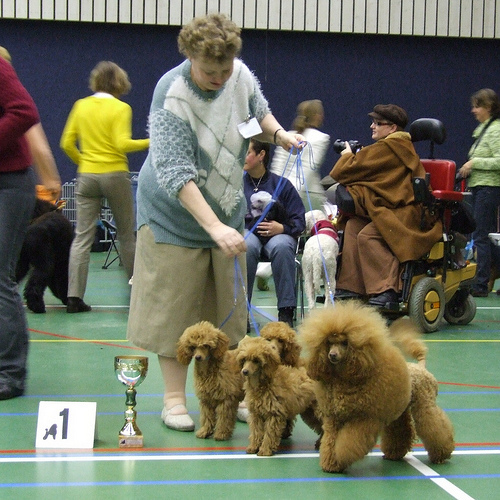 With the puppies of her sister Queenie she won Best breeders group. She has loads of beautiful red hair. 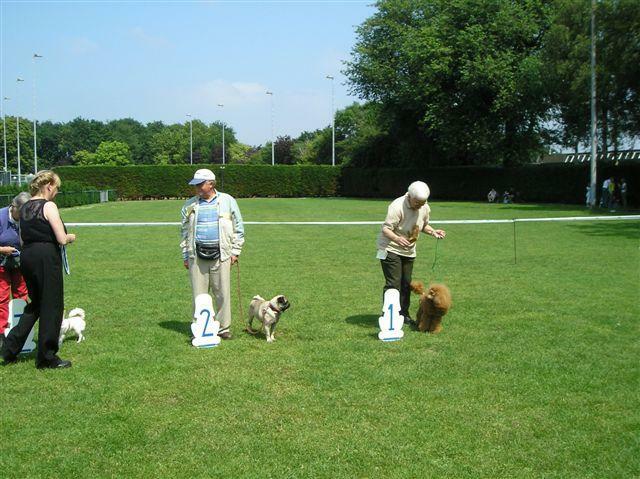 Together with handler Henk Postma , she had loads of fun at a training in Belgium. 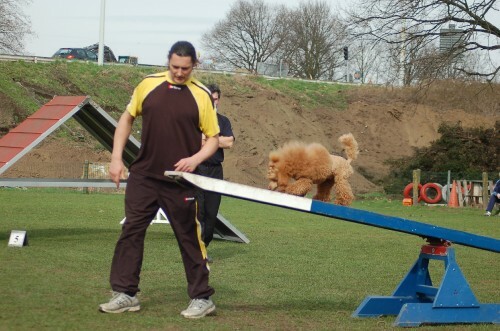 They did the same courses as the agility C dogs( Highest group) an did well.